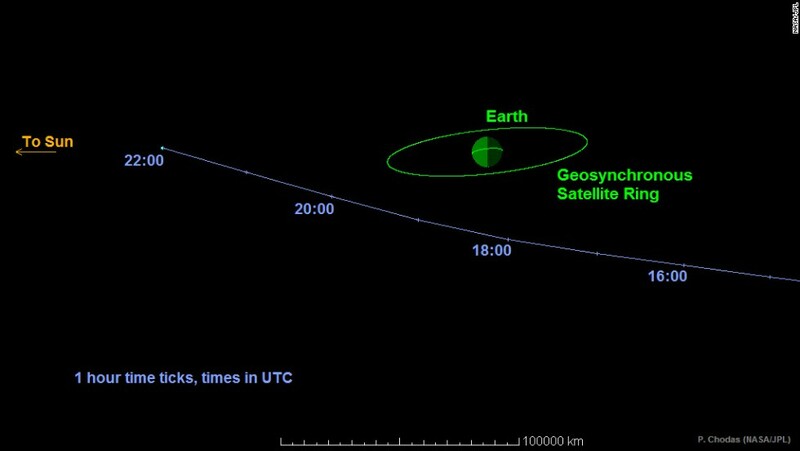 CNN: Is this asteroid heading for Earth? You may not ever get to go to space, but if you have a knack for art, you could send your paintings, poems or songs to an asteroid. NASA is inviting the public to send art to an asteroid on its new spacecraft: the Origins, Spectral Interpretation, Resource Identification, Security-Regolith Explorer, or OSIRIS-REx for short. The probe will be the first to collect a sample of an asteroid and bring it back to Earth. Asteroid Day, a day organized by a group of notable scientists, astronauts and citizens, was held in June and aims to educate the global community on the potential threat of asteroids. 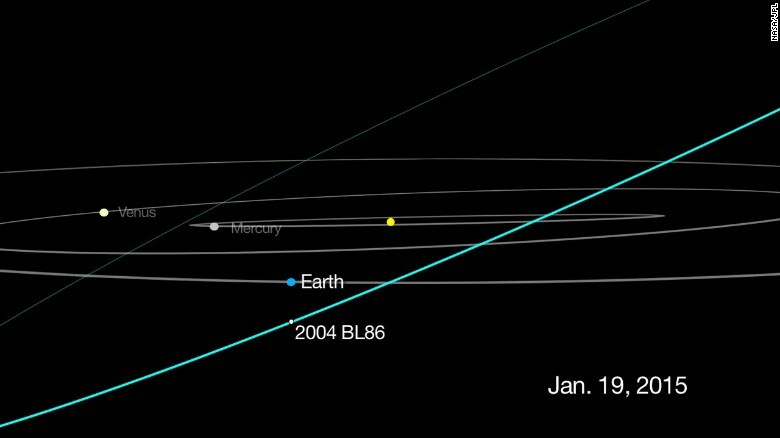 This graphic shows the track for asteroid 2004 BL86, which flew about 1,200,000 km from Earth on Monday, January 26. That's about three times as far away as the moon. The spacecraft is scheduled to launch in September and travel to the asteroid Bennu to collect about 57 grams of material from the space rock and bring it back to Earth in 2023. Bennu, formerly known as Asteroid 2012 DA14, passed within 35,400 km of Earth on February 15, 2013. 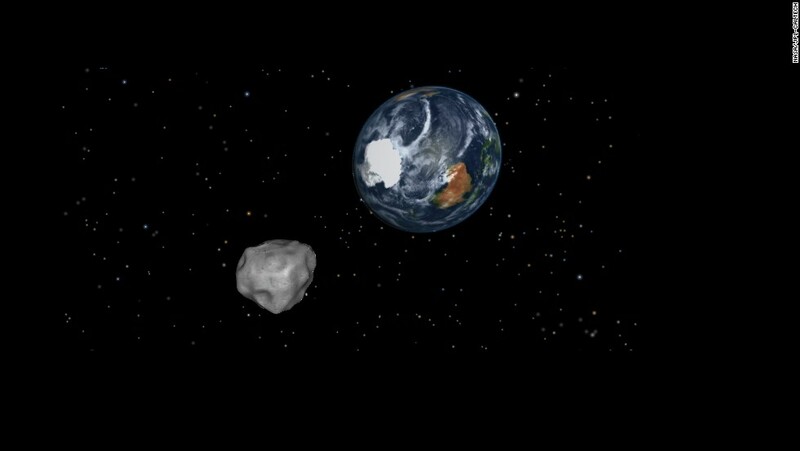 That's close for an asteroid, NASA says, less than a tenth of the distance to the moon. The rock, which has a 492-meter diameter, makes a close pass by our planet every six years. 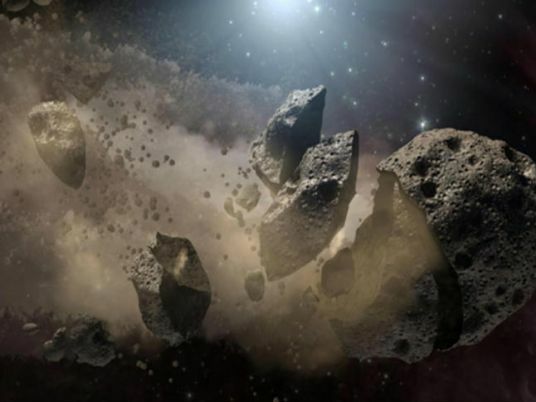 Scientists say this means there is a high probability that Bennu could hit Earth in 2182. This is why they want to learn more about it. So why send art to an asteroid that could one day crash into our planet? "The development of the spacecraft and instruments has been a hugely creative process, where ultimately the canvas is the machined metal and composites preparing for launch in September," said Jason Dworkin, OSIRIS-REx project scientist at NASA, in a news release. This graphic shows the path Asteroid 2014 RC took as it passed Earth on September 7. The space rock came within one-tenth the distance from Earth to the moon. 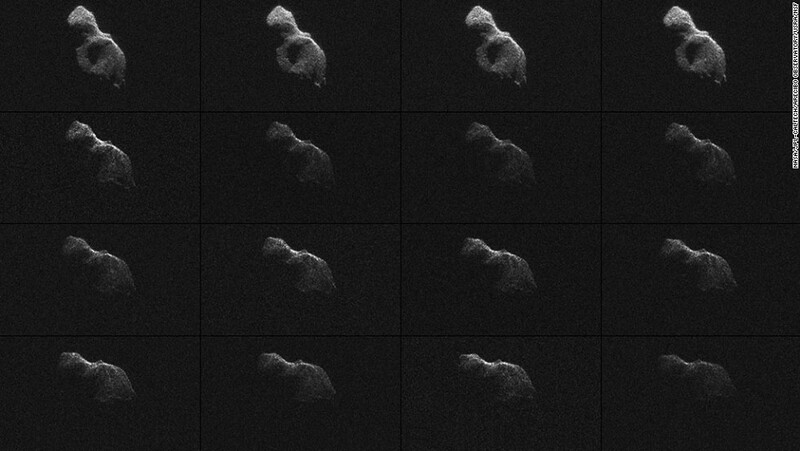 NASA scientists used Earth-based radar to produce these sharp views of the asteroid designated on June 8. NASA called the images "most detailed radar images of a near-Earth asteroid ever obtained." "It is fitting that this endeavor can inspire the public to express their creativity to be carried by OSRIS-REx into space," he said. Interested? Here's what the NASA invitation says you can send: A submission may take the form of a sketch, photograph, graphic, poem, song, short video or other creative or artistic expression that reflects what it means to be an explorer. You have until March 20 to submit your artwork. It would join the 442,000 names submitted through NASA's 2014 "Messages to Bennu" campaign.